What Is Your Favorite Gemstone for Healing? Crystals can offer amazing healing power. Depending on the crystal's overall structure and properties, it may provide you with exactly the natural healing you need. Which gemstone is most likely to impact your overall health? To determine which stones are right for you, read through the following list of ailments and aids. People have used crystals as a source of natural healing power for years. Each crystal has a unique internal structure that impacts how the stone resonates. This creates a specific frequency that gives crystals their ability to heal. Each possesses a different set of healing properties. Depending on your ailment and your body's reaction to the crystal, you could start feeling better sooner than you think. When you apply crystals to various areas of the body, they contribute to a gentle, non-invasive healing process. They also aid in restoring your body's stability and balance, along with working to encourage your body's natural healing mechanisms. Amethyst and amber are two types of crystals used to treat any pain in or around the head. Place these stones near your head to feel improvement. Lapis lazuli crystals have also shown to be effective at treating migraines in some people. 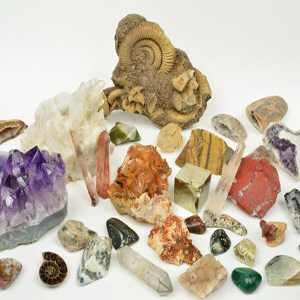 An online psychic reading can walk you through finding the right crystal to address your ailment. A variety of crystals can help to improve your concentration and focus. These are ideal for use when studying or needing to better your focus within your daily life. Common healing crystals for this include quartz, which many people believe improves mental clarity. To encourage healthy brain function, fluorite serves as the ideal choice. Sodalite works well alongside fluorite and can improve communication skills. If you struggle with sleeplessness, crystals can help. Rose quartz, for example, can ease the tension and worry that could be causing your lack of ability to sleep. If you struggle to calm your mind prior to bedtime, try placing citrine or amethyst by your bed. This can help to soothe you and help you get to sleep. Try contacting a psychic network for more resources about crystals and restfulness. A lack of energy serves as the root cause of many bodily ailments. When you feel that you can't function to the best of your ability, try using red or yellow crystals. These work to stimulate your mind and body. Hold a clear quartz crystal with the point upwards. This can give you a boost of energy. Another way crystals can help you feel better is by using a rare, high vibration stone, according to Healing Crystals for You. These stones include moldavite, diamonds, gold herderite, and phenacite. Wearing these as a pendant, for example, can encourage healing. This could be a way to live more simply with improved health. Improving your health may just mean wearing a stunning crystal around your neck. With this natural, easy solution for improving your health, why suffer any longer?